For untold years, the perfectly preserved mummy had lain forgotten in the dusty basement of Boston's Crispin Museum. Now its sudden rediscovery by museum staff is both a major coup and an attention-grabbing mystery. Dubbed "Madam X," the mummy - to all appearances, an ancient Egyptian artifact - seems a ghoulish godsend for the financially struggling institution. 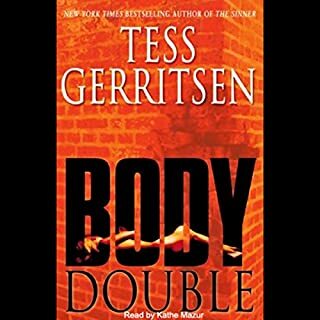 But medical examiner Maura Isles soon discovers a macabre message hidden within the corpse - horrifying proof that this "centuries-old" relic is instead a modern-day murder victim. To Maura and Boston homicide detective Jane Rizzoli, the forensic evidence is unmistakable, its implications terrifying. And when the grisly remains of yet another woman are found in the hidden recesses of the museum, it becomes chillingly clear that a maniac is at large - and is now taunting them. Archaeologist Josephine Pulcillo's blood runs cold when the killer's cryptic missives are discovered, and her darkest dread becomes real when the carefully preserved corpse of yet a third victim is left in her car like a gruesome offering - or perhaps a ghastly promise of what's to come. The twisted killer's familiarity with post-mortem rituals suggests to Maura and Jane that he may have scientific expertise in common with Josephine. Only Josephine knows that her stalker shares a knowledge even more personally terrifying: details of a dark secret she had thought forever buried. Have liked the series and will continue to give it a listen as more are produced. As to this particular episode, a couple of points are probably worth noting. 1) For fans of Maura Isles, you'll be disappointed. She was really on the periphery of this story - it could easily have been written without her. 2) For those who really need a "production" rather than a book read to them, you probably won't be happy with this. You can't tell a character by voice inflection with this narrator - not a biggie with me, but it seems to be an issue with a number of people who write some pretty scathing reviews. All in all, steady fodder from Gerritsen that I would recommend. 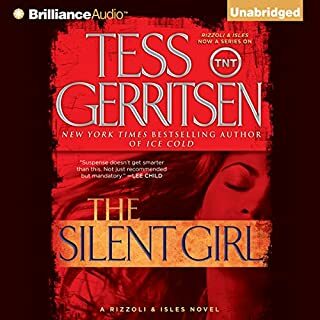 I've read most of Tess Gerritsen's books....this was definitely one of the best. The archeology theme was fascinating, the the suspense never slowed down. Definitely recommend this one!! This book is a real keepsake. The plot moves along rapidly with thrilling twists and turns all the way to the end, which winds up being a twist in itself. Vivid imagery enables the reader to feel and see the sands of Egypt as well as experience the macabre death scenes. Full of suspense, The Keepsake, keeps you wondering what is around each corner. The only drawback in the audio is that the narrator does not carry each character individually with her voice; it is sometimes difficult to determine who is speaking and more like having a book read to you. The story is brilliant if one can move beyond the voice of the narrator. Her books just keep getting better and better. Even when you think the story is over and then find out it isn't, you aren't disappointed. When you're sure the book is going to end like many others, you are wrong. I can't wait for her next book. 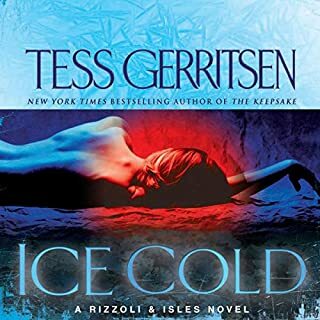 Tess Gerritsen's Rizzoli and Isles series is more about suspense and borderline macabre stories than it is about police procedure or detective work. This book takes that to a higher level than even The Surgeon, or Body Double did, complete with a set of fiends as bad or worse than any featured in the previous stories. On the downside this book spends far too much time focusing on points of anthropology and the doomed before it began romance of Doctor Isles has grown way more tedious than interesting; move on girlfriend. 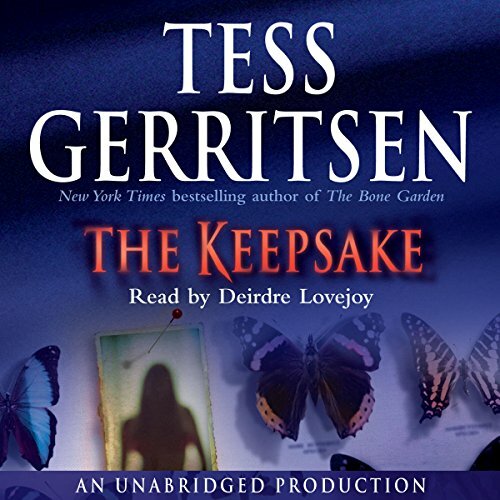 Overall The Keepsake was weaker than any selection in the series since The Sinner; still this series is one of the better ones in the Audible library; maybe just skip the aforementioned pair. 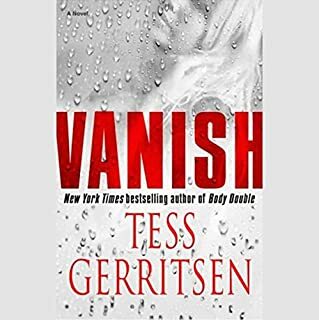 This is, by far, my favourite Tess Gerritsen book. I thoroughly enjoyed this book but the narrator's voice almost ruined it for me. I highly recommend this audiobook as long as you can get past the narrator's voice. With her reading, it's so hard to distinguish between who's speaking because they all sound the same! I found myself "rewinding" or scrolling back ever so often to figure out which character was actually speaking. The storyline was OK, but the writing left a little to be desired. Used the same trite phrases over and over. I agree with the reviewer who said you would be rolling your eyes every few minutes. It was a decent listen, but nowhere near the top of my list. 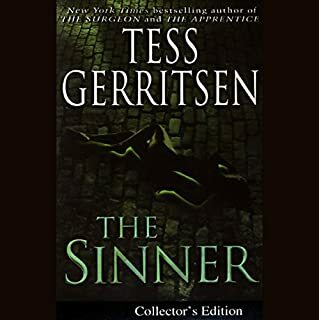 I have really liked some of this author's previous books (The Sinner is really good)- but this one is lacking in all areas- Terrible narration - this person would be better suited to narrate Nancy Drew mysteries with her little girl voice. I had to make myself get through this one hoping it would get better- it never did!! This is a pretty good story, but it is padded with some really silly dialog. Be prepared to roll your eyes about once a minute, especially in the first half. This book was well written. It is kind of hard to try to go with the story and not think of the series and how some things are different. You lose some of the back and forth between Rizzoli and Isles but that doesn't necessarily take away from the book. I have read other Rizzoli and Isles books and will read more.